Megalink Trunking System is the result of years of experience in technical lighting special for food together with a continuous investment in I+D+i in all our products.Consequently, Megalink Trunking System is also available in special LEDs for food: Meat, Meat Premium, Fresh, Fruit, Fruit Premium, Gold y Blue Fish (these two available upon request). Megalink Lighting Trunking System with special leds for food is perfect for lighting big and small businesses. It is easy and is flexible to install because it is formed by two parts, the electrified rail and the lighting. All its structure is made of high quality aluminum. It is really versatile because it can be combined with accessories (connectors, connection terminals, end cap, etc). Besides, it comes up with a wide range of lenses of different beam angles (30 º/60 º/90 º/Asymmetric 20º/asymmetric Double 25 º-25 º) in order to meet perfectly your project’s most demanding needs. 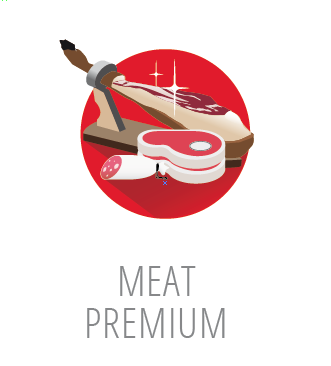 Premium Meat: Boosts meat’s red color thanks to the merge between MEAT LED and FRESH LED at the same time enhancing meat’s white fat. 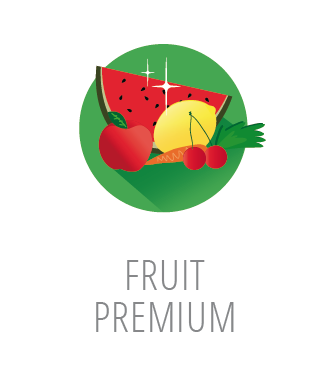 It is perfect for lighting red meat, white meat, cold cuts, precooked dishes, etc..
Fruit Premium: Highlights red fruits and vegetables thanks to the fusion between FRESH LED and FRUIT LED which is at the same time empowering fruits’ and vegetables’ greens and yellows. This temperature of color allows mixing different vegetables and fruits in the same exhibitor, despite of their color, customer will see them more appealing. 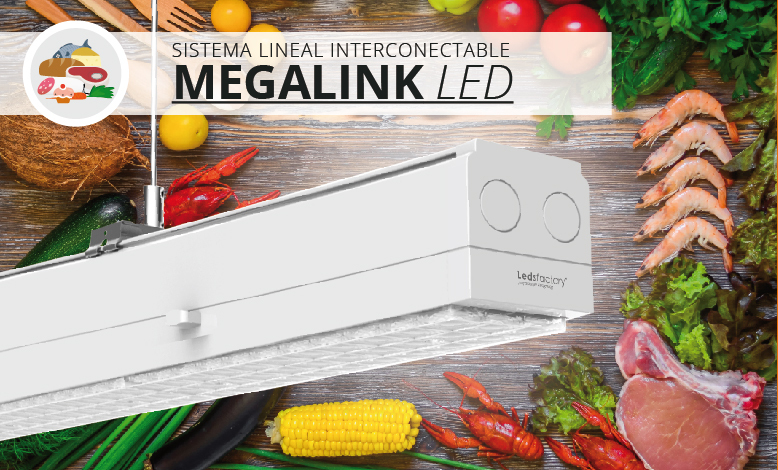 Megalink LED Trunking System Special for Food is a practical and versatile substitute for conventional fluorescent tubes and triphasic tracklights thanks to its modules, components and accessories and it makes possible meeting your lighting project’s most demanding needs.